Click on a range of videos to select that range. Higher number videos are the most recent. Click on the Contact TJ link above to contact TJ Elevator Fan Public Relations. 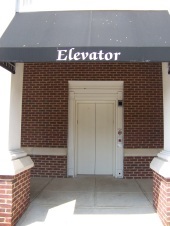 If your business is located around the Charlotte/Greensboro/Winston-Salem area, TJ Elevator Fan is available to film your elevator or do a hotel tour of your hotel! Click on the link above to request TJ to film the elevator at your business. Please list the address where the elevator is located, as well as the type of business and whether you are available for filming on weekends. If you have a date that you'd like TJ to film, please list that as well. For locations further away from Charlotte, we may be able to schedule further in advance.